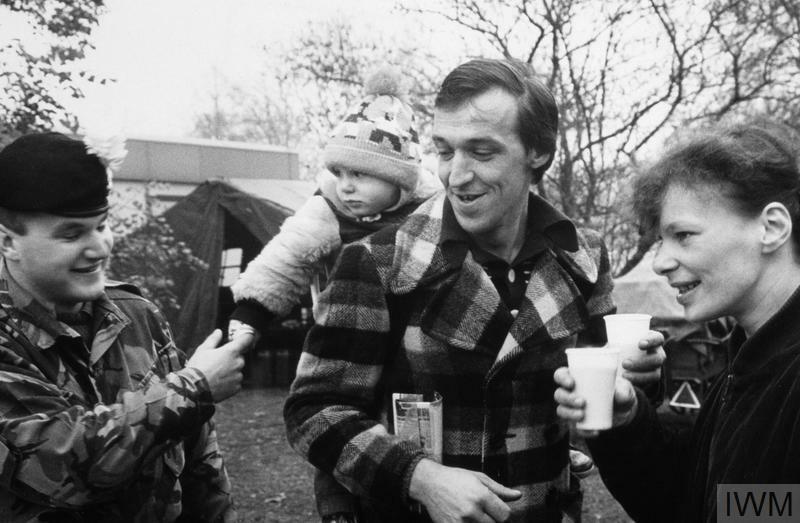 In 1989, political changes in Eastern Europe and civil unrest within Germany put increased pressure on the East German government to make reforms to some of its policies. On 9 November 1989, government spokesman Gunter Schabowski announced at a press conference that every citizen of East Germany would be allowed to travel to the West, effective immediately. He failed to clarify that some travel regulations would remain in place and that applications for travel would still need to be made. Image - Socialist Unity Party (SED) press conference, 9 November 1989. Bundesarchiv, Bild 183-1989-1109-030 / Lehmann, Thomas / CC-BY-SA. After the press conference, the West German media incorrectly reported that the border was open. 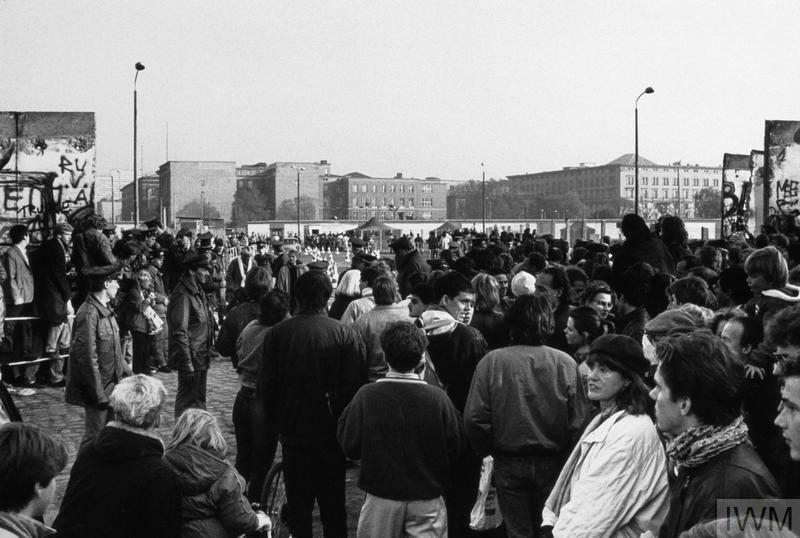 People began to gather in huge numbers on both sides of the Berlin Wall. 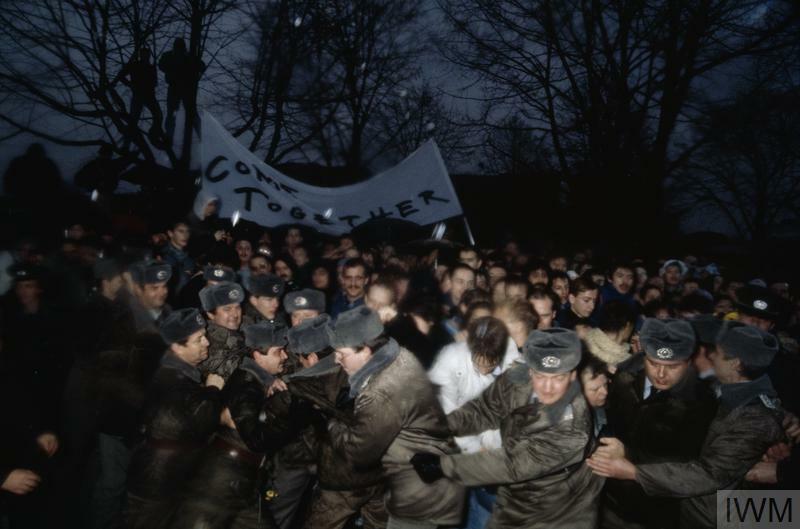 In this photograph, East German guards struggle to restrain a crowd of East Berliners at one of the checkpoints along the Berlin Wall. At 11.30pm on 9 November 1989, a rush on the Bornholmer Strasse checkpoint led border guards to abandon passport checks and let people through en masse. As the night wore on, crowds at other checkpoints were also let through in large numbers. 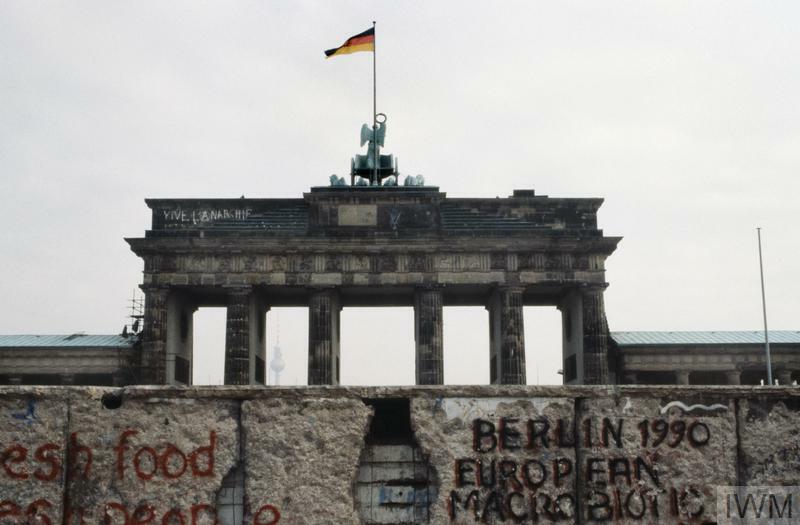 For the first time in 28 years, East Berliners could move more freely into West Berlin. Celebrations broke out all along the Wall. 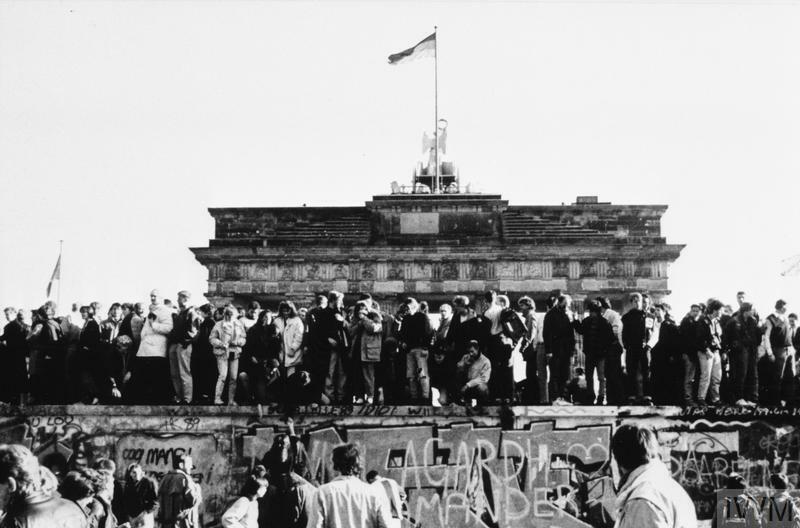 In this photograph, East and West Germans celebrate on a section of the Berlin Wall in front of the Brandenburg Gate. 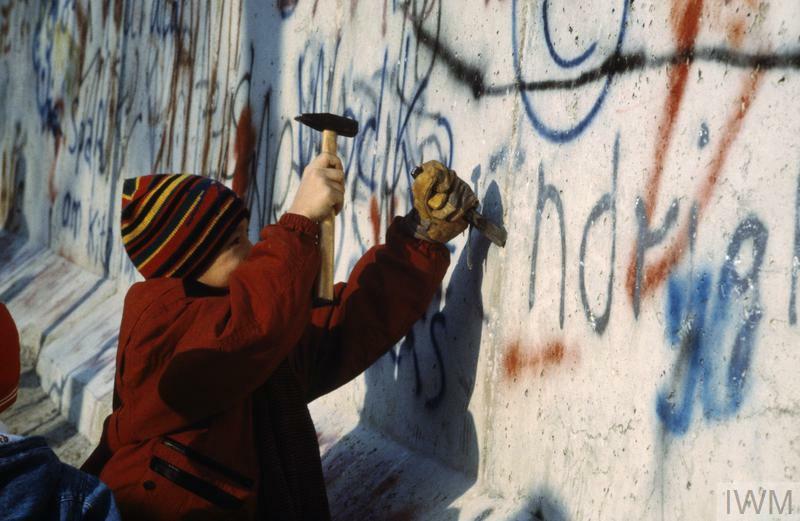 Over the next two years souvenir hunters, nicknamed 'wall peckers', chipped away pieces of the Berlin Wall. 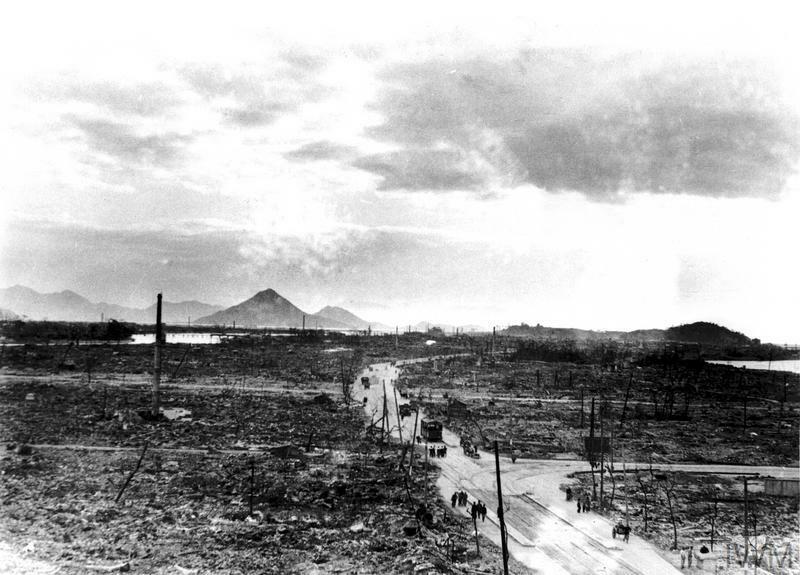 Official demolition did not begin until June 1990, but by then large sections had already been damaged or removed. 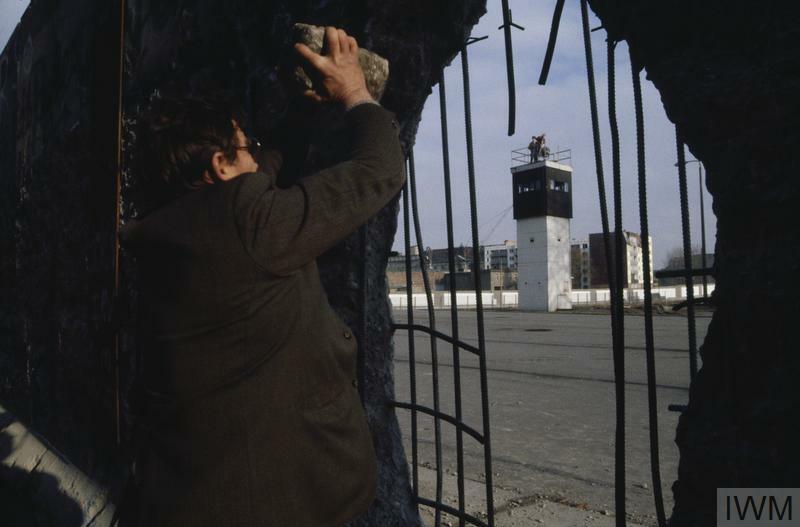 In this photograph, a man chips away at the Wall in January 1990. The fall of the Berlin Wall was the first step towards German reunification on 3 October 1990.